Justin Bieber is a Canadian singer and songwriter, who achieved success at a very young age. In fact, he’s only 24 years old at the moment! 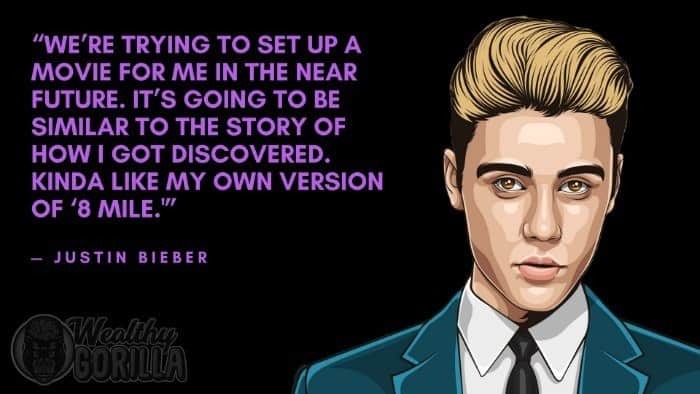 Bieber would post YouTube videos of himself covering various songs when he was younger and was then discovered by a talent manager. As of 2019, Justin Bieber’s net worth is roughly $265 million, and everybody knows about him. Justin Bieber was born on the 1st March, 1994, in London, Ontario. Bieber has two half-siblings, and as a child learned to play several instruments: including the drums, guitar, and trumpet. It was fairly obvious that Justin was passionate about music, and destined for a future career as a musician. He would often sing covers of various R&B songs, which his mother would record and post online to YouTube. Justin Bieber’s career began to flourish after he was discovered on YouTube, by Scooter Braun. Justin flew to Atlanta, Georgia, to work with Braun and begin recording demo tapes. A week later, Bieber began working with Usher and was quickly signed to Raymond Braun Media Group. He was then signed to Island records, where he began to release his first hit singles. He became the first artist to have seven songs from a debut record chart on the Billboard Hot 100; his debut album was certified triple Platinum in the U.S.
Bieber has worked with a bunch of artists throughout his music career, including the likes of Chris Brown, DJ Khaled, and Jaden Smith. Bieber, for example, concentrates his full commercial attention on the lucrative teen female market. His first fragrance, Someday, was the best-selling perfume of 2011, and his One Less Lonely Girl brand of nail polishes sold over a million bottles in two months. 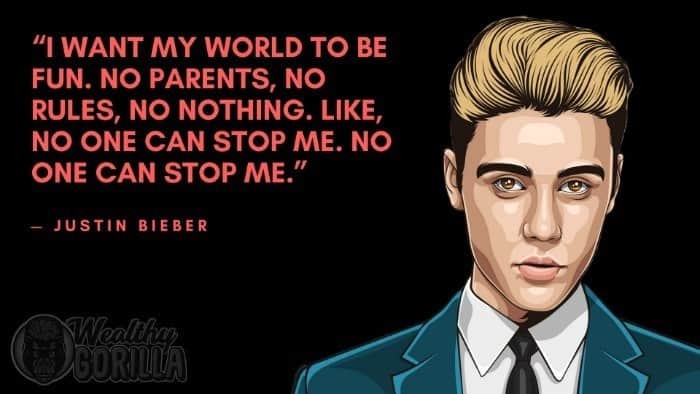 More impressive than Bieber’s financial clout is his vast social media reach. He has over 21 million Twitter followers and 43 million Facebook fans, while his debut single ‘Baby’ is the most watched video in YouTube history with over 740 million views. Very few business owners or successful entrepreneurs make it on their own. It is key to understand our strengths and weaknesses and build teams around us that compensate for or complement our own skill set. 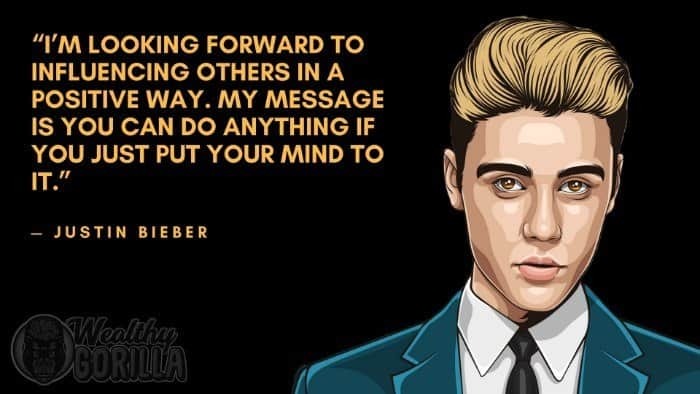 Justin Bieber has received a lot of hate throughout his career; however, he is now one of the richest singers in the world. And at only 24 years of age. That’s incredibly impressive, no matter what anybody may say. 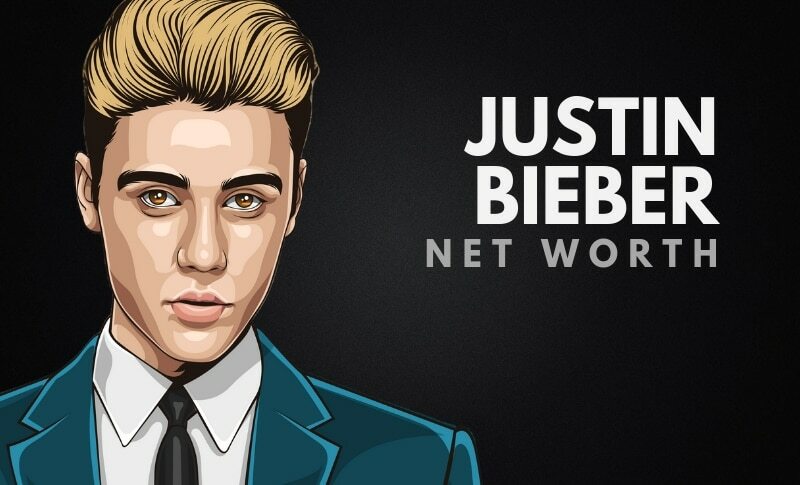 Justin Bieber’s net worth is estimated to be $265 million. 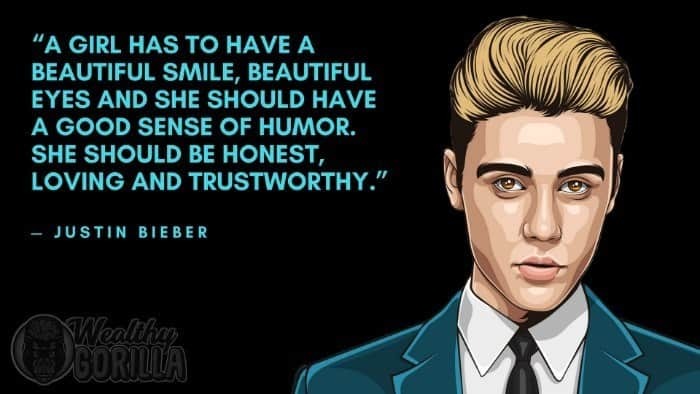 What do you think about Justin Bieber’s net worth? Leave a comment below.